At our Adelaide and Woodville practices, optometrists have the ability to fit custom large diameter scleral lenses with advanced technologies and materials to treat a range of eye conditions, including keratoconus. If you are interested in scleral lenses and would like to know more about whether they are right for you, please book an appointment or contact us for more information. 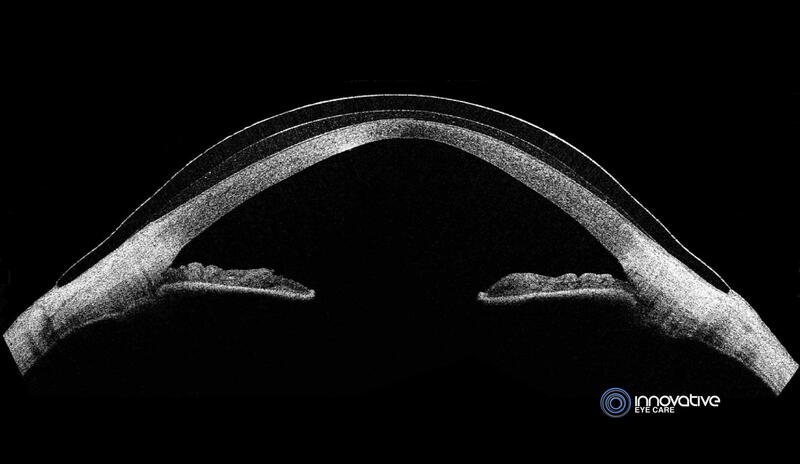 Sclerals are a typically larger type of RGP lens. It provides more contact with the sclera (white part of the eye) where there is less sensation. The large diameter means that the lids do not move across the edges of the lenses as much, which makes scleral lenses surprisingly comfortable to wear. 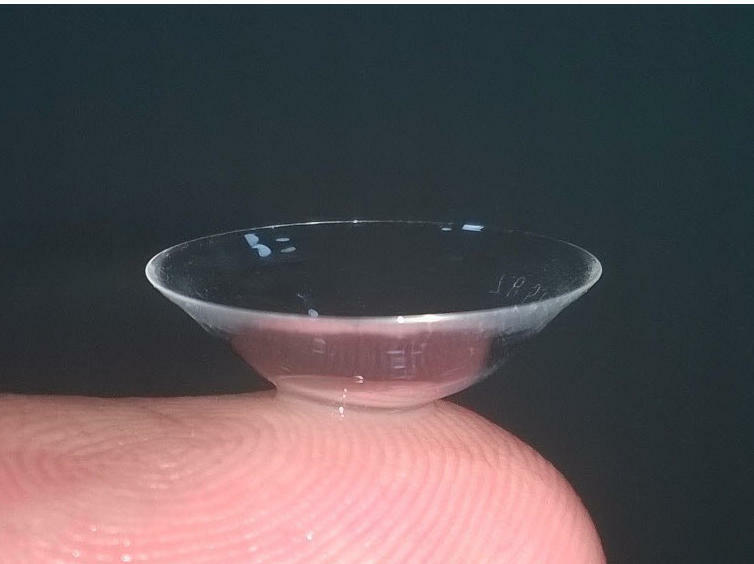 Unlike smaller diameter RGPs, scleral lenses are not designed to touch the central cornea. This makes them even more comfortable, as the cornea is the most sensitive part of the eye. For more information on the care and handling of scleral lenses visit our information page here. Sclerals are commonly used for conditions such as keratoconus and corneal grafts. In these cases the cornea is often diseased and compromised, so it can be better for vision and the health of the eye to vault the lens right over the cornea to limit contact. This principle can also be used to effectively correct high prescriptions such as hyperopia, myopia and astigmatism. Patients with dry eye also benefit from using scleral lenses as the fluid contained between the lens and the eye bathes the cornea during wear, easing symptoms and helping to rehabilitate the ocular surface. Scleral lenses are complex and difficult to design and manufacture. Innovative Eye Care uses a range of technologies including OCT and corneal topography to design these lenses as accurately as possible to improve comfort, eye physiology and vision.